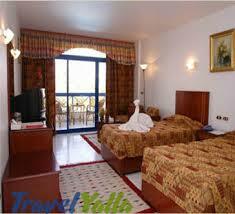 Located in Um El Sid, La Perla Sharm offers air conditioned rooms with a separate sitting area. Each room has a private balcony and some provide a view of the pools. La Perla features an adult and a children’s pool. There is also a pool dedicated to sports like water polo and aqua gym. Large terraces furnished with lounge chairs surround each pool. International cuisine is served 3 times a day at Sharm’s buffet-style restaurant. A variety of hot and cold refreshments are available at the lobby or pool-side bar. The oriental-themed Bedouin Tent Bar opens in the evening. Recreational facilities at La Perla include a health club where guests can work out or schedule a massage treatment. Guests can also play pool or ping-pong. 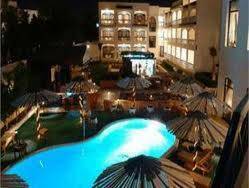 La Perla Sharm provides a shuttle service to the sandy beaches of the Red Sea, located half a mile away.